The J. G. Randall Distinguished Professor of History at the University of Illinois and associate editor of North and South magazine, Bruce Levine presents a gripping chronicle of the cultural and economic upheaval the South experienced during and after the Civil War. 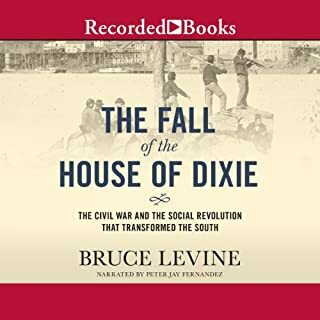 Drawing upon a treasure trove of diaries, letters, newspaper articles, and government documents, Levine offers a unique perspective on the old South's demise through the voices of those who lived through the conflict. Americans debating the fate of slavery often invoked the specter of disunion to frighten their opponents. As Elizabeth R. Varon shows, "disunion" connoted the dissolution of the republic - the failure of the founders' effort to establish a stable and lasting representative government. For many Americans in both the North and the South, disunion was a nightmare, a cataclysm that would plunge the nation into the kind of fear and misery that seemed to pervade the rest of the world. Understanding the War Between the States is a supplemental history by 16 writers that enables a more complete and truthful study of American history. Consisting of 40 concise chapters, beginning with the Colonial era of North America, moving to the Revolution and the establishment of the US, it proceeds into westward expansion to the Pacific Ocean. But at that point in American history, the Northern cultures and Southern cultures clash in a horrific political sectional contest over how powerful the country's federal government should be. > The New York Times hailed this trilogy as “one of the greatest historical accomplishments of our time”. 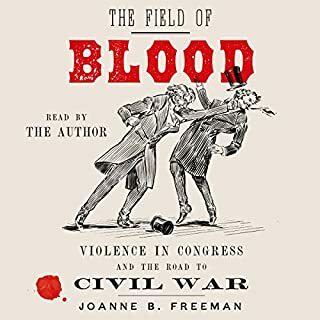 With stunning detail and insights, America’s foremost Civil War historian recreates the war from its opening months to its final, bloody end. Each volume delivers a complete listening experience. The Coming Fury (Volume 1) covers the split Democratic Convention in the spring of 1860 to the first battle of Bull Run. The extreme fringe in the South took charge, first in South Carolina and Mississippi, but then throughout the lower South, sounding the drum roll for secession. 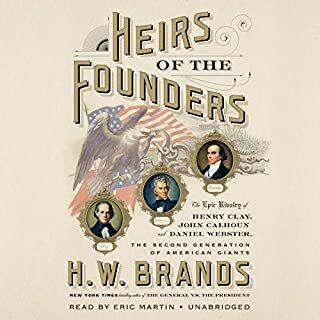 This is the first book to fully document how this decided minority of Southern hotspurs took hold of the secessionist issue and drove the South out of the Union. William Freehling provides compelling profiles of the leaders of this movement. Throughout the narrative, he evokes a world of fascinating characters and places as he captures the drama of one of America's most important - and least understood - stories. By the time his body hung from the gallows for his crimes at Harper’s Ferry, abolitionists had made John Brown a "holy martyr" in the fight against Southern slave owners. But Northern hatred for Southerners had been long in the making. Northern rage was born of the conviction that New England, whose spokesmen and militia had begun the American Revolution, should have been the leader of the new nation. Instead, they had been displaced by Southern "slavocrats" like Thomas Jefferson. And Northern envy only exacerbated the South’s greatest fear: race war. In the 60 years preceding the outbreak of civil war, Northern and Southern fanatics ramped up the struggle over slavery. By the time they had become intractable enemies, only the tragedy of a bloody civil war could save the Union. 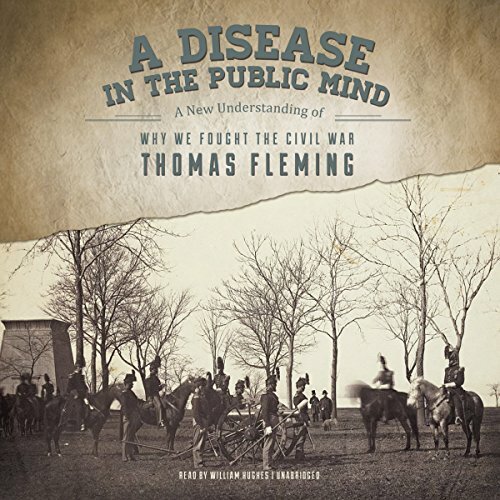 In this riveting and character-driven history, one of America’s most respected historians traces the "disease in the public mind" - distortions of reality that seized large numbers of Americans - in the decades-long run-up to the Civil War. ©2013 Thomas Fleming (P)2013 Blackstone Audio, Inc.
What made the experience of listening to A Disease in the Public Mind the most enjoyable? Well written history, told in a narrative form that is both insightful and interesting. The context of the era helps to understand how the Civil War started and why it continued. A devastating series of events that we should be mindful of today. Have you listened to any of William Hughes’s other performances before? How does this one compare? It was a very thoughtful and sober analysis of the darkest period in our nations history. I recommend this to anyone who was to understand the history of the US. What did you love best about A Disease in the Public Mind? The reevaluation of Colonial thru Civil War history can never be over mined. Thomas Fleming deserves props for this refreshing examination of what was going on in America in regards to slavery. Many questions we face today including the politics of race are embedded in the discussion from this earlier period. Thomas Jefferson was a compelling figure. A genuinely twisted individual. The Haitian uprising and America's near hysterical silence on the matter. Truly moment after moment the story was compelling. Reading about men moved from the colonial period to end slavery, and the end of slavery in the north. I was also surprised at how much history is neglected and forgotten in the modern narrative. 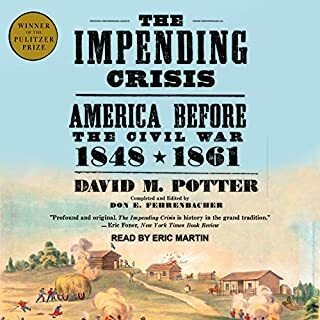 When you finish this you realize that whole levels of understanding can be added to the Civil War and what it meant to American, then and now. I had the pleasure of reading this, and then listening to it, both methods are satisfactory. The psychological atmosphere described herein is frighteningly familiar in the age of Trump. The whole idea of a "Disease in the public mind," which perceptive observers noted at the time of the civil war, seems to have infected us again. 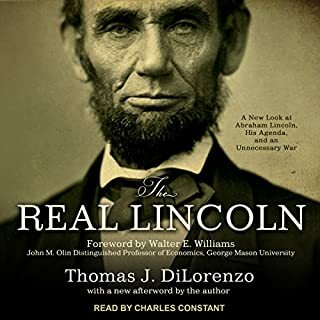 This is the best book I have run across for an explanation of why we fought the Civil War. 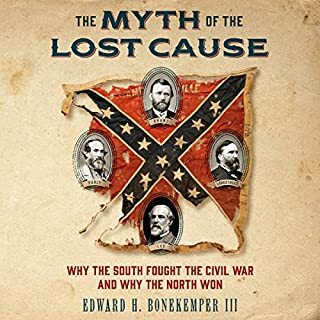 I can highly recommend this book for anyone interested in a highly readable book written by an academic on the subject of why we fought the Civil War.